Escape rooms are a relatively new trend in North Dakota, but they are certainly a fun way to spend a night out with friends, coworkers or family. 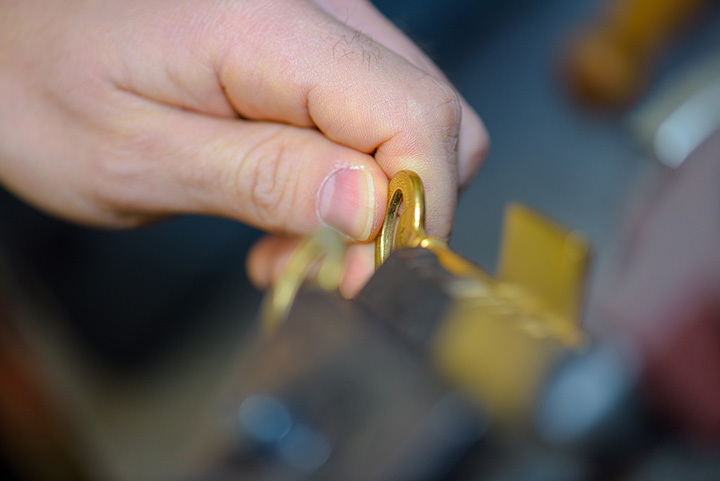 Escape rooms are a live action game in which participants are “locked” in a room and must use clues and puzzles in the room to find their way out. Grab a group and head to one of the six best escape rooms in North Dakota! Fargo Escape Room provides an escape from an ordinary date night! Escapees have 60 minutes to escape the room, as well as 10 to 15 minutes to learn the rules. The rooms are complicated, so it is recommended that participants be at least 14 years of age or older. There are four different rooms available, including “Homecoming: Part 1,” “Homecoming: Part 2,” “Life or Death,” and “C.A.T.S.” Each room can accommodate about eight to 10 people, so it is the perfect spot for a family game night or corporate outing! Trapped in Bismarck is the perfect spot for a corporate team building event, birthday party, or just a fun night out. They are open from Thursday through Sunday by appointment only so make sure to make a reservation before stopping in. The rooms are available for groups of four or more. The room themes are a pirate treasure hunt, bank heist, zombie clinic, and lost toy in the playroom for kids ages five to 13. You’re guaranteed to have an unforgettable adventure at Minot’s Escape Point! The rooms are held with groups of two to six with an affordable charge of $25 per person. Appointments are highly recommended, especially for large groups. The room themes are “Great Temple Escape” in which you must solve clues in an ancient temple to find the treasure and escape before it collapses, “Granny’s Recipe Rescue” in which you must find your grandmother’s hidden famous spaghetti sauce recipe before thieves can get their hands on it, and “The Haunting of Madam Delilah” in which you must find your way back after a fortune teller transported you to another dimension. Another of Fargo’s popular escape rooms, Escape House Fargo is the place to be for thrilling adventures and confounding puzzles. There are three different rooms available like “Flood the City” in which escapees must disarm bombs that are about to blow up a dam and flood the city, “Nana’s Condo” in which you search through your nana’s condo to find her hidden inheritance treasure, and “The Detective’s Office” in which you have to find evidence against a suspect. The rooms all have varying levels of difficulty, so even escape room newbies will have plenty of fun solving clues. Puzzled Escape Rooms was the first escape room in Fargo and is still going strong! This downtown location has five different room themes like “Museum of Terror” in which you must find a stake before the vampire wakes up, “Studio 51” in which you investigate the mysterious disappearance of a famous bird photographer, “NDSU Bison Fan Cave” in which you need to find the Bison’s playbook before the other teams can get their hands on it, “Madam Zella’s Psychic Parlor” in which you must find evidence that a psychic is swindling her clients, and “Chapel de Puzzled” in which you must find a stolen marriage certificate before the wedding is called off. There are so many different puzzles to choose from, but each room is guaranteed to be a blast! Grand Forks Escape Room is one of the most popular and creative entertainment venues in town! There are several room themes such as “The Heist,” “Abducted,” “The Pandemic,” “The Hangover,” and “The Asylum.” There are two convenient Grand Forks locations, one on South Columbia Road and the other on 1st Avenue North.